Primavera Gran is the joint initiative of the Igualada Town Council and the Igualada Senior Citizens Association, which, with the support of the Diputació de Barcelona and the Generalitat de Catalunya, annually proposes a week with numerous activities aimed at older people. 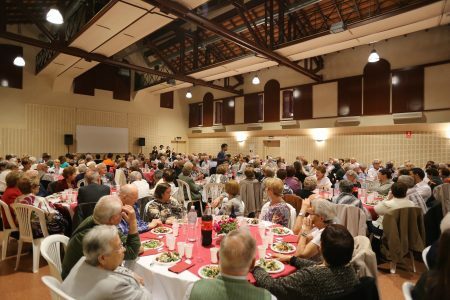 Traditionally, activities aimed at the elderly in Igualada residences can be found, excursions, talks, concerts, recitals, gatherings for the Memory Library, theater, dinner for people who are 80 years old, dinner of celebration of gold nuts and others. In the framework of the Primavera Gran 2018, the Action Plan of Igualada Ciudad Amiga de las Personas Grandes is presented publicly. It was a challenge to unify in a single program the activities of the administration and those of the association of the elderly. After several participatory meetings and meetings, it was decided and accepted the role of each one. This has been polishing over the years and always depending on the people in the lead. The experience has been positive and has been continuing year after year.